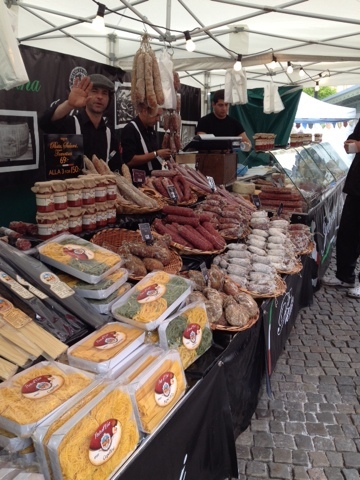 There's an Italian Village Market at Jarntorget this week! Wednesday, June 25th-Saturday June 28th 10-5. 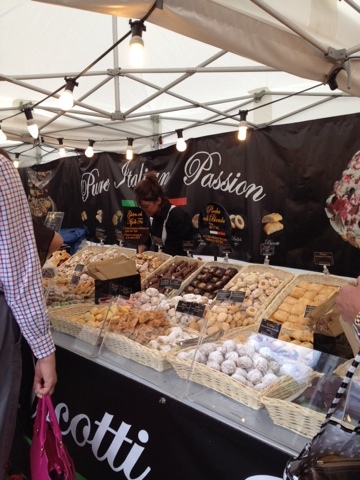 Several booths of friendly Italians selling cured meats, cheeses, dried fruit, and a HUGE spread of sweets... Sigh. A little slice of heaven. 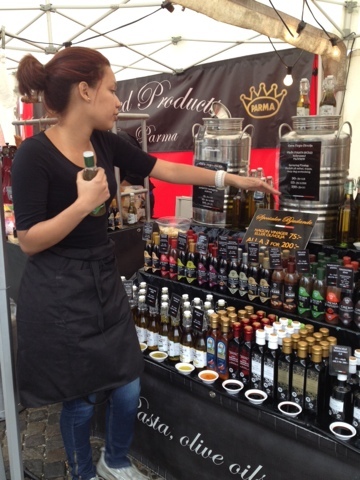 I wasn't familiar with "crema" in the context of balsamic vinegar before today, but they sucked me in with free samples and now I need to go back to the ATM. I actually saw Crema at the grocery store this morning, but I didn't know what it was, so I didn't get any. It's a glaze made with balsamic vinegar, and I'm pretty sure any of them would taste good on a variety of foods from fish to ice cream. I brought home Fig crema and also Spicy Garlic Rosemary, and if I were to pick another it's the basic crema made with white balsamic vinegar.